Personal decorations are divided into orders of chivalry – one military and two civilian – and orders awarded for services to the Royal House. The King is Grand Master of the orders of chivalry. There are two Dutch civilian orders of chivalry: the Order of the Lion of the Netherlands and the Order of Orange-Nassau. These honours are conferred on persons who have rendered outstanding service to society. Candidates are nominated via the mayor of the municipality where they live. Foreign nationals may also receive an honour, for which they are nominated via the Minister of Foreign Affairs. 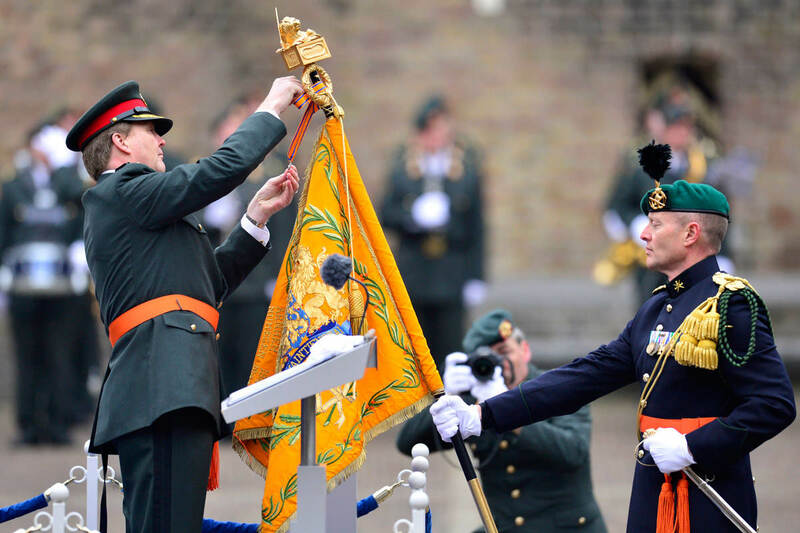 The Order of the Lion of the Netherlands is the oldest and highest civilian order of chivalry in the Netherlands. It was founded by King Willem I on 29 September 1815. There are three classes: Knight Grand Cross, Commander and Knight. This order is awarded for exceptional service to the community. The Order of Orange-Nassau is awarded for longstanding meritorious service to society, the State or the Royal House. The first five of the six classes are: Knight Grand Cross, Grand Officer, Commander, Officer and Knight. Recipients of an award in the sixth class become members of the Order. The only military order of chivalry is the Military Order of William, awarded for bravery. This is conferred on civilians, military personnel and units that have distinguished themselves by performing acts of conspicuous bravery, leadership and devotion to duty. There are four classes: Knight Grand Cross, Commander, Knight Third Class and Knight Fourth Class. Applications for a decoration must be submitted to the Minister of Defence.